"and certainly now in 2106, a new, updated look is needed. 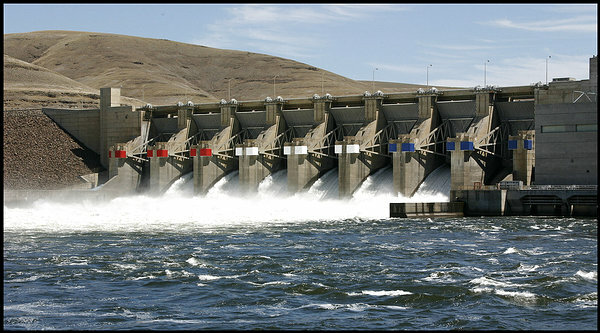 NOAA Fisheries and other federal defendants--BPA, U.S. Army Corps of Engineers and U.S. Bureau of Reclamation--have been given an additional two weeks, until June 3, to file a schedule for implementing an EIS, in response to the May 4 federal district court ruling hammering the 2014 BiOp over its impacts on endangered salmon and steelhead. In requesting more time, the feds said it was needed "because forecasting the date for completion of an EIS will require the assessment of various factors, such as the numerous regulatory timelines and milestones the agencies must observe and the availability of staff and other resources." Given the two weeks allotted for response by plaintiffs--conservation groups, fishing businesses, the State of Oregon and the Nez Perce Tribe--and another two weeks for the defendants to respond to that, it won't be known what the new EIS is going to entail until July. The timing for the BiOp redo could potentially be included in the EIS schedule. One of the important parts of this EIS scoping process is identifying issues that will be covered and new research that may be needed. In his ruling, U.S. District Judge Michael Simon emphasized he was expecting a "comprehensive environmental impact statement," which he wrote "requires that all reasonable alternatives be analyzed and evaluated." Elsewhere in the decision, he explicitly said Lower Snake River dam removal had to be analyzed [3:01-cv-00640]. The federal defendants are maintaining a wall of silence about the ruling. The few who have spoken publicly about the ruling seem puzzled, even annoyed, by Simon's call for new studies of dam removal. Terry Flores, executive director of Northwest RiverPartners, said while the decision acknowledges "the 2014 BiOp is providing benefits, the judge wants the hydro system to do more and is requiring another study of dam-removal options." "We've been there, done that," she said. "The Corps' 2002 study was, and is, comprehensive," Flores said. "The hydro system alone can't solve the problem." In a motion filed with the court May 5, the Columbia Snake River Irrigators Association (CSRIA), joined by three local Washington Farm Bureau federations, said the judge was simply wrong, and should admit his error. The irrigators noted the Corps considered dam breaching in two EISs--in 1992 and 2002--as well as drawdown studies in 1994 and 1996. A representative of the CSRIA told the Capitol Press it hoped its motion would encourage the federal agencies to appeal Simon's decision to the 9th U.S. Circuit Court of Appeals. Responding to the irrigators' call for Simon to "correct the misstatements," Steve Mashuda, an Earthjustice attorney representing the plaintiffs, told NW Fishletter, "If the judge did that, he would basically be taking back his decision. He's not likely to go there. "The problem with the Corps' 2002 EIS," Mashuda added, "is not so much that it wasn't comprehensive but that it's dated." He pointed out that the judge called the 2002 study "unreasonably stale." Masuda and Nancy Hirsh, executive director of the NW Energy Coalition, also said the economic analysis in the 2002 EIS was flawed. "The assessment of costs and benefits was inaccurate then," Hirsh told NW Fishletter, "and certainly now in 2106, a new, updated look is needed. "We have capital improvements and ongoing operations and maintenance coming out of BPA," she said. "How much more money do we want to spend and not get the results we need?" Masuda cited other changes since 2002. "Climate change is a now a fact. The region has gone from predictions of energy shortages to energy surpluses. Shipping and commercial navigation is about half of what it was then." The situation is "vastly different" now than it was in the late 1990s when most of the Corps' EIS was conducted, he said. Simon's deadline for a new EIS and a new biological opinion is March 1, 2018, about 22 months away. "We don't know what to expect from this new process," Flores said. "The track record on completing just biological opinions is about two to three years after there's a break in litigation." However, Simon sounded a more optimistic note in his ruling, writing that the EIS "may be able to break through any logjam that simply maintains the precarious status quo."